Our community schools and neighborhood centers are often in need of new and like new items to support the students and families they serve. Check out our In-Kind Donation Wish List to view our most needed items. If you are interested in making an in-kind donation, please complete the form linked below and we will contact you to discuss your donation. Well used items or items needing to be picked up may be eligible for donation through Big Brothers Big Sisters of Utah. You can also donate well used items to Deseret Industries. - Dr. Seuss Day New Book Drive (January - early March): Organize a supply drive to collect new Dr. Seuss books that will be read and given to children in low-income schools. Volunteer on or around Dr. Seuss Day, March 2 (optional). - Day of Action Hygiene Kit Drive (April - early June): Organize a supply drive to collect items for hygiene kits that will be given to children in low-income schools. 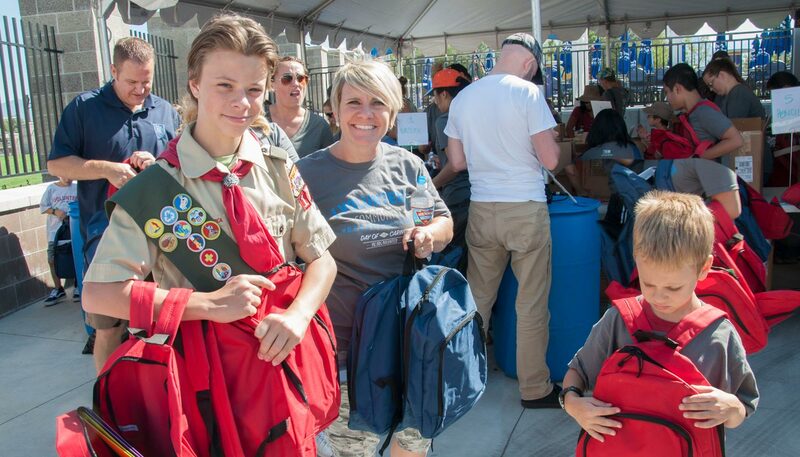 Volunteer to pack hygiene kits on Day of Action in June. - Stuff the Bus School Supply Drive (June - early August): Organize a supply drive to collect school supplies that will be given to children in low-income schools. Volunteer to stuff backpacks with school supplies at Stuff the Bus in August.